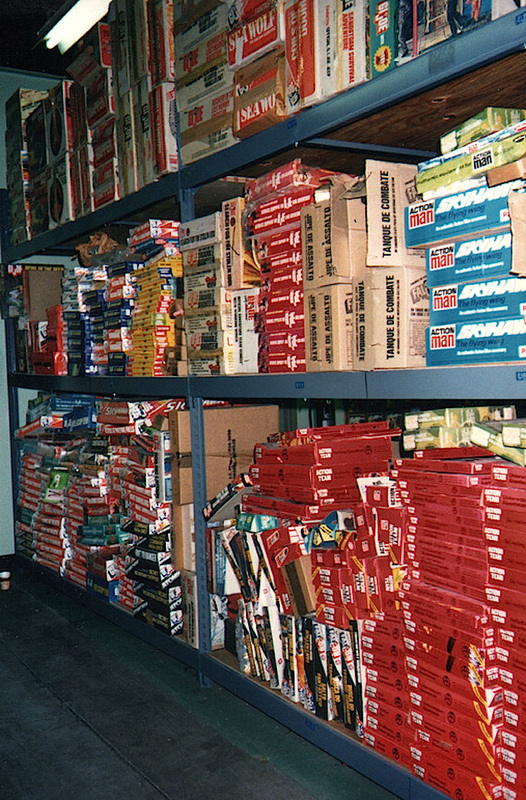 Floor to ceiling shelving once filled this secret Hasbro warehouse (located somewhere in Pawtucket, RI) with multiple examples of the entire history of GIjOE product production. Sadly, any of the items placed on lower shelves were likely destroyed during a past major flooding incident. What happened to the remaining NRFB sets on the upper shelves is unknown. (Photo: Wayne Faucher) Click to enlarge. 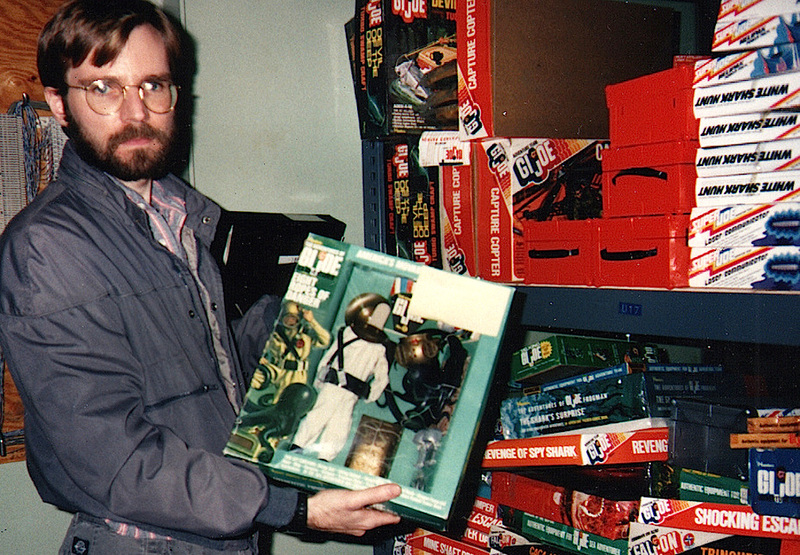 Fan Suspicions CONFIRMED—Legendary Toy Storage Site DID Exist! Here’s another of those “Just when you thought you’d heard it all” stories about GIjOE’s historic and colorful past. It’s an Indiana Jones-esque tale built on previously unconfirmed secondhand accounts of a fabled storage site or “treasure trove” wherein it was rumored that untold numbers of original, vintage GIjOE figures, equipment sets and vehicles were stored. 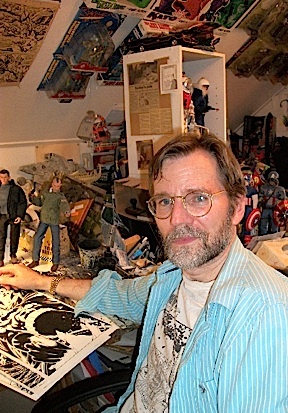 The fanciful tale has been bouncing around the internet and GIjOE fandom for decades now, only to FINALLY be confirmed this week by famed Marvel inker and artist, Wayne Faucher. 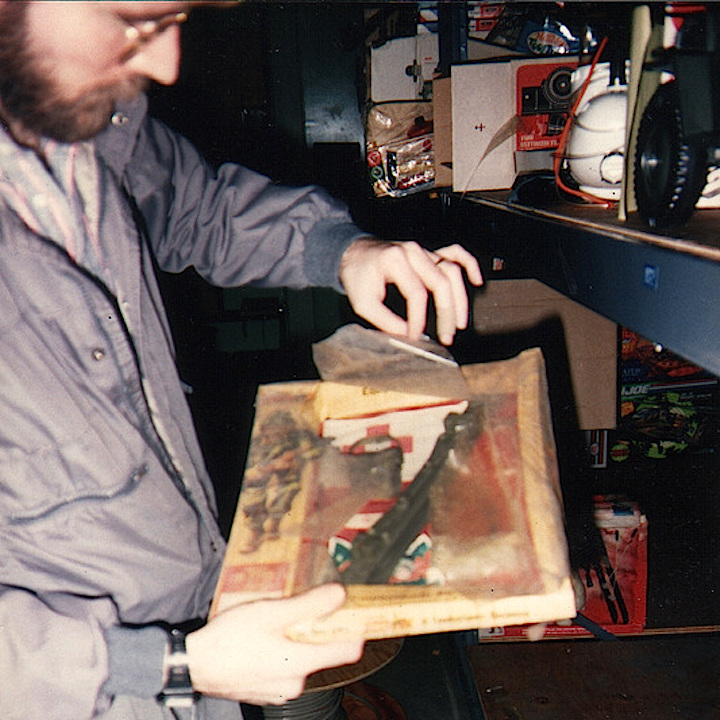 Like an archeologist peeling back the layers of time— Faucher delicately lifts a bit of torn cellophane on this NRFB medic set to give it a closer examination. (Photo: Wayne Faucher) Click to enlarge. Almost beyond imagination— Take a close look at the items on these pegs. So many vintage GIjOE toys! What an amazing vault of memories! (Photo: Wayne Faucher) Click to enlarge. On and on it went— and where it stopped, nobody knows! 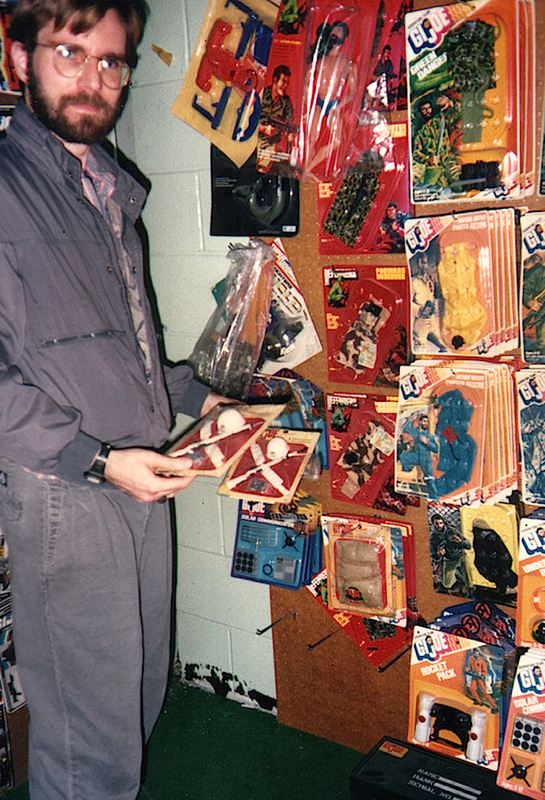 At the time Faucher paid his visit (1990) the amount of vintage GIjOE products being stored in “Hasbro’s Morgue” was literally staggering. Today…who knows what remains behind those high-security doors? (Photo: Wayne Faucher) Click to enlarge. Anybody need one of these? 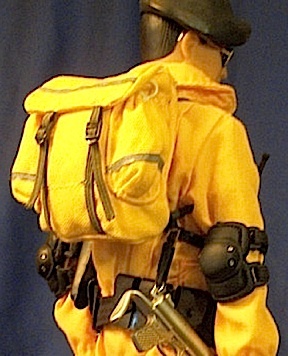 Faucher holds up a mint, NRFB “Eight Ropes of Danger” window-boxed equipment set. It is (or was) absolutely mint and PERFECT. (Photo: Wayne Faucher) Click to enlarge. Hammana-hammana-hammana— Who wouldn’t love to examine the contents of an NRFB Sea Sled? And look! Someone actually wrote “morgue” on that Jeep box! (Photo: Wayne Faucher) Click to enlarge. Bottom Line: What an exciting story! 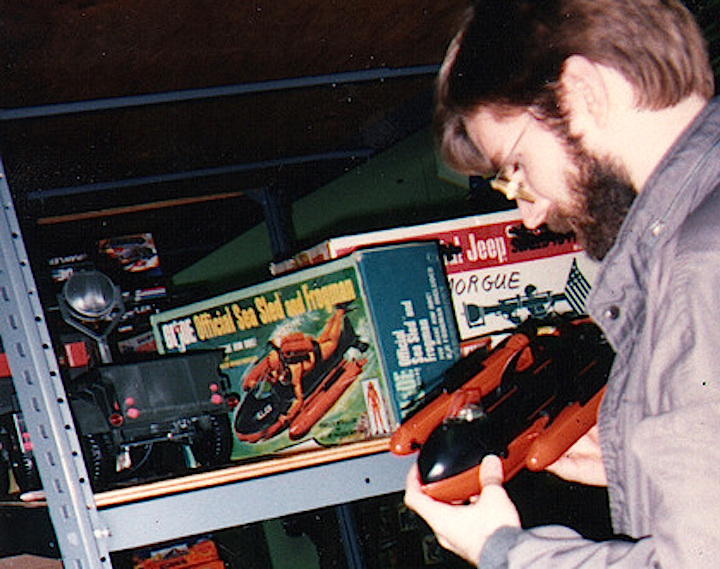 Wayne Faucher has become the “Indiana Jones” of GIjOE historians by confirming the existence of such an extraordinary toy “morgue.” Our sincerest thanks go out to Wayne for sharing all of this wonderful information and historic photographs with readers of The Joe Report—and the worldwide GIjOE collecting community. You’re the BEST, Wayne! PS: To view the entire collection of Faucher’s fabled photos, we recommend you visit the equally legendary, “Vintage3DJoes” website found HERE and prepare to be BLOWN AWAY! 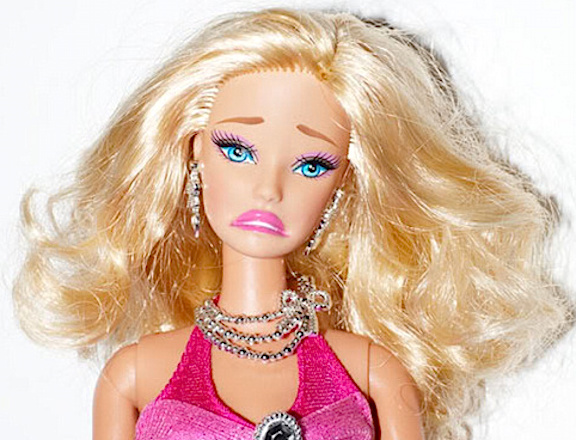 Barbie Suffering Same Fate as 12-inch G.I. 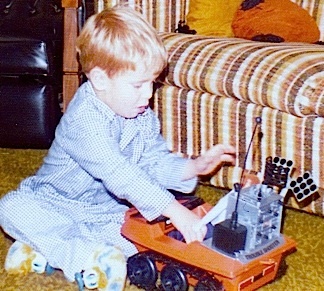 Joes: Will Future Children No Longer Play w/ Toys? If you’re an adult over say, 45, you may be a member of a dying breed. We’re not talking about your health or lifespan, we’re talking about the fact that you’re a human (man or woman) who can still remember when “childhood playtime” meant interacting with dolls, action figures and other toys. You may not realize it, but you could be a member of one of the last generations who’ll remember those youthful pursuits as the carefree activities they were and how they required one of life’s most precious gifts—imagination. This conclusion is easily understood by simply observing the children of today’s societies and how their evolving behavior patterns have begun to affect the “bottom line” of an already struggling toy industry. Yes, it’s a different world (today) than the one you grew up in, and that reality is forcing toy giants (i.e. Hasbro and Mattel) to push for changes that will usher in a new era, one that may be largely devoid of the past’s traditional or “imagination-dependent” toys. In the past, toy manufacturers used to be able to count on keeping a child’s interest and faithful patronage until about the age of 13 or so. Once the teenaged years kicked in, it was understood that kids began to switch over to more “grown up” interests such as sports, dating and music. While it was a shame to lose them as customers, toy companies knew there would always be more children coming along and more profits could be made from them. But now…that predictable mode of forever selling toys appears to be changing. Dramatically. At earlier and earlier ages, children are visibly turning away from traditional toys. Once their first computer, video game system or <shudder> “smart” phone enters their lives, there’s really no looking back. In fact, the very idea of playing with traditional, non-electronic toys is becoming positively quaint to children of today (of both sexes). 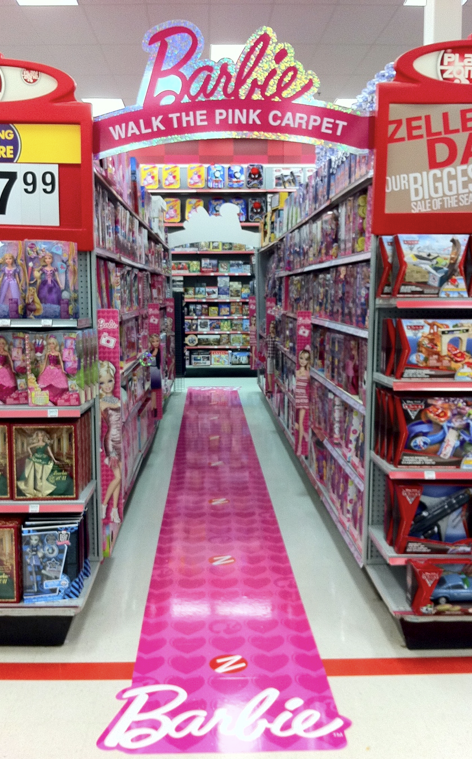 Even casual observations at toy shows and toy stores have confirmed they already perceive GIjOEs and Barbies as stiff, almost unrelatable artifacts of bygone age; something that their Mommy or Daddy “used to play with” very long ago, but is now—boring. So what does all this mean? It means that now, in 2015, toy companies can no longer afford to do business as usual. New solutions to newly emerging problems must be found, before sales and stock values plummet any further. It means that once impervious toy lines of the past are now at risk of being ignored (read Derryl DePriest’s commentary on the fate of GIjOE HERE) or canceled altogether. As children continue to grow up faster and switch to non-toy pursuits at younger ages, they’re truncating a once lengthy consumer-provider relationship. Profits from toys therefore, are now harder to predict, forcing changes in marketing strategies that, while helping boost the bottom line, may actually increase the growing gap between children and traditional toys—even further. Toy Companies—Media Companies—Will There Be a Difference in the Future? Mattel’s not the only toy giant to see one of its oldest toy lines struggle to remain relevant and profitable in this modern age. 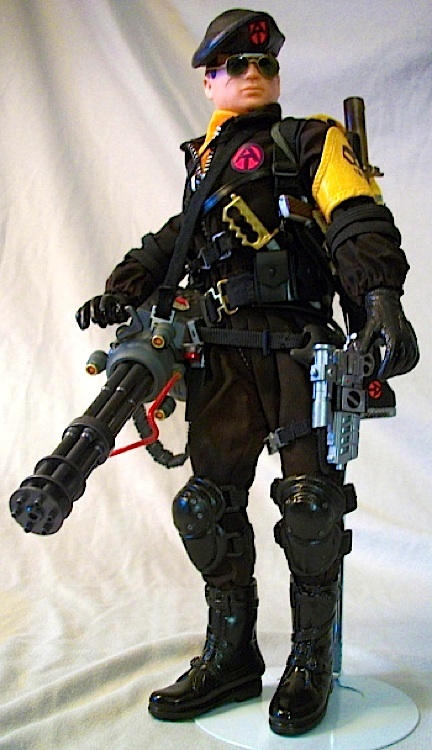 Hasbro too, now considers its once industry-leading brand, 12″ GIjOEs, to be practically null and void. Without the “little Joes” (3.75″ sized), the world’s most famous toy brand would have vanished from stores by now. But Hasbro has demonstrated amazing vision. Anticipating the evolving market realities and changing interests of children, they’ve diligently built-up their business from its basic toy origins into a full-blown media and entertainment powerhouse; producing blockbuster brand-offshoot motion pictures such as The Legos Movie, Transformers, etc., while simultaneously working alongside other film industry giants (see HERE) to coordinate massive merchandising efforts. Despite all the vitriol many fans continue to spew in its direction, Hasbro has clearly shown them (and Mattel) that there IS a future for toy production. And while that future may not include GIjOEs or Barbies, it will certainly include profits made from toy sales—LOTS of them. 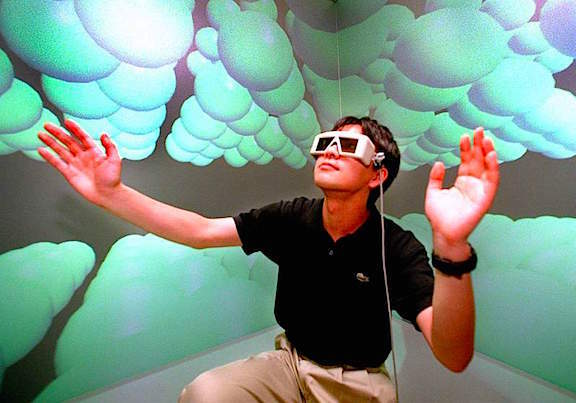 On top of everything else we’ve discussed, we’d be remiss not to mention the impending arrival of virtual reality (VR) systems. Recent breakthroughs have solved the majority of nagging technological and biological hurdles (4K resolution refresh rates, dizziness, headaches, etc. ), and promises of very near future “life-like” immersion will make playing with traditional toys seem as obsolete as newsprint is to the internet. The latest TIME magazine goes into this subject in great detail (see cover above) and VR’s impact on the future of entertainment and toys promises to be profound. Bottom Line: We’ve discussed the topics of shifting consumer buying habits and evolving toy preferences many times over the years. The days of children playing with imagination-dependent toys may largely be behind us as a society; or at the very least, are becoming seriously endangered. 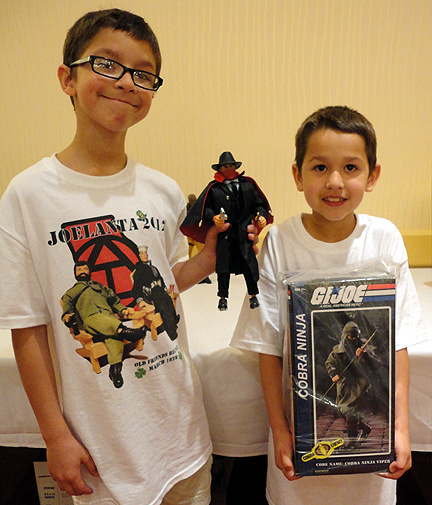 The future of 12-inch Hasbro GIjOEs is already known. 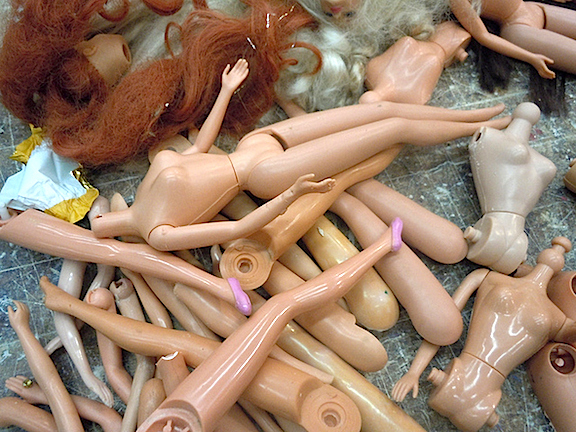 The future of Mattel’s 12-inch Barbies now falls into question. Fans have to wonder, what exactly will children of the future be playing with? And what effects will those toys (both traditional and virtual) have on their shrinking attention spans, imaginations and overall cognitive abilities? 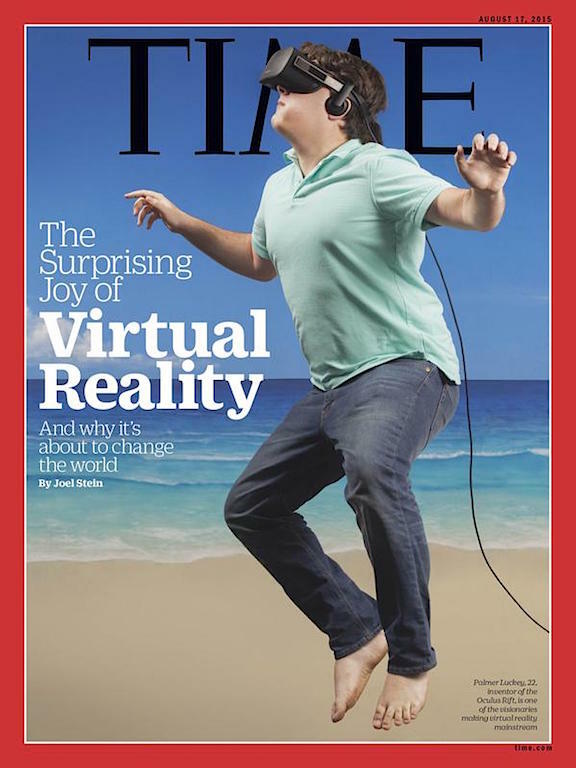 Will kids be jumping for joy like the dude in the TIME cover photo? Or will they be drooling over in a corner without an original thought inside their impressionable little heads? Let us know what YOU think. Please leave a comment today. Thanks! For Don Levine, a U.S. Army veteran of the Korean War, former executive of Hasbro Toys, and co-creator of America’s iconic GIjOE action figure, that first phone call from the Central Intelligence Agency (CIA) must’ve struck him as quite extraordinary. 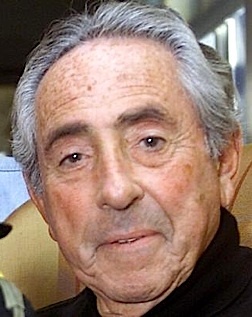 After having spent over half a century of his life creating toys that entertained and inspired millions of children (and later too, adults), Levine must’ve been stunned when the voice on the other end of the line suddenly began asking for his help, not to inspire millions yet again—but to REPULSE them. “Beginning in about 2005, the CIA began secretly developing a ­custom-made Osama bin Laden ­action figure, according to people familiar with the project. 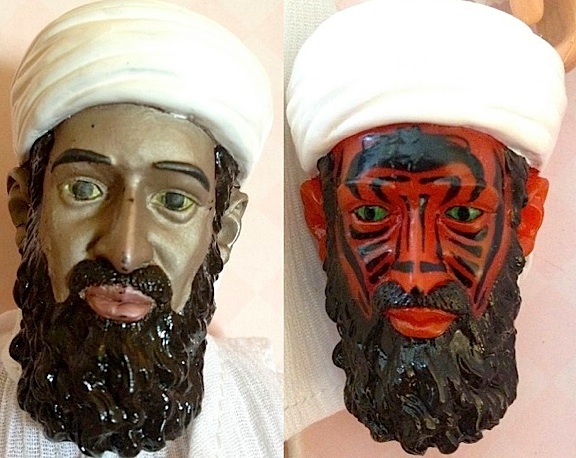 The face of the figure was painted with a heat-dissolving material, designed to peel off and reveal a red-faced bin Laden who looked like a demon, with piercing green eyes and black facial markings. The goal of the short-lived project was simple: spook children and their parents, causing them to turn away from the actual bin Laden. There’s a dispute over how many of the figurines, if any, were ultimately delivered. 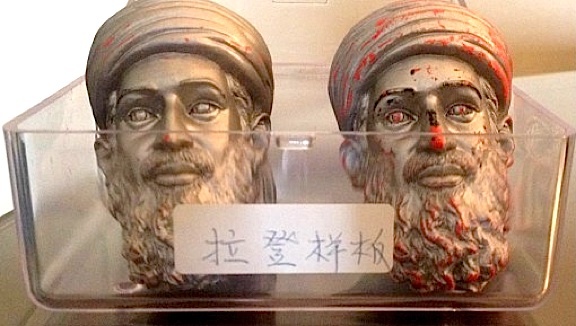 A person with direct knowledge of the project in China said hundreds of the toys — one of which was seen by The Washington Post — were made as part of a pre-production run and sent on a freighter to the Pakistani city of Karachi in 2006. 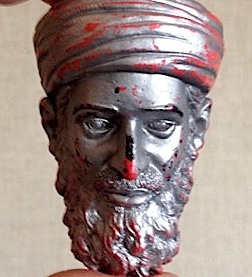 The CIA, while not disputing that it had commissioned the bin Laden figures, said the project was discontinued shortly after the prototypes were developed. Regardless of how far the “Devil Eyes” project proceeded, it appears to have borne all the hallmarks of what are known in intelligence parlance as “influence operations.” As part of its covert action programs, the agency has for decades tried to win the hearts and minds of local populations or turn them against a particular ideology. “Levine was initially asked to help with the toys for boys. ‘It appealed to [Levine] because it had nothing to do with actually hurting someone,’ said a person familiar with his decision to get involved. 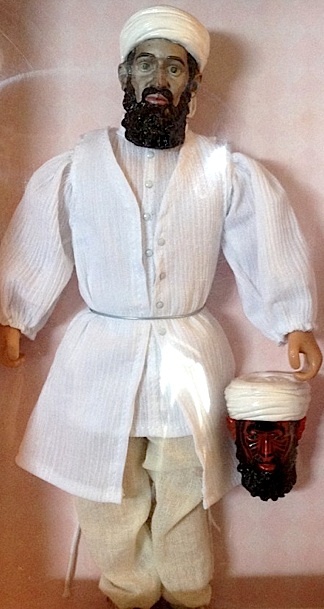 ‘It was the softer side of the CIA.’ CIA officials later approached Levine about the possibility of producing the bin Laden figures and having them sent to Pakistan or Afghanistan. 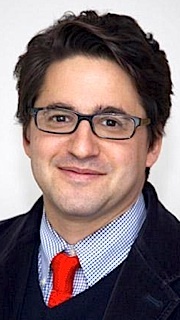 Levine was initially ambivalent about the project but would later throw himself into the work, according to the people familiar with the project. The Answer? It would’a been AWESOME! In the first of our new series of “What If” articles, we ask the intriguing question, “What if the Adventure Team had remained closer to GIjOE’s military roots?” Indeed! What if Hasbro, instead of promoting Joe in his second iteration as a “peaceful adventurer,” had chosen instead to develop his new adventuresome persona more militarily? 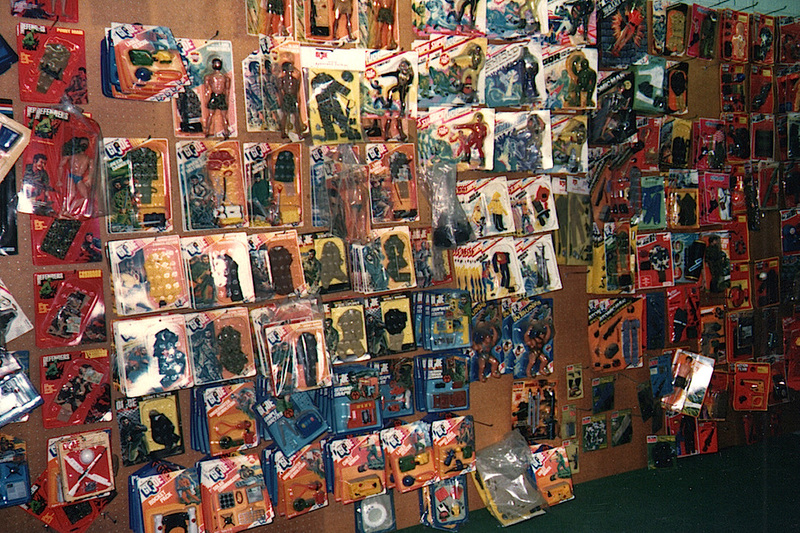 Looking back, fans will recall that rising anti-war sentiment in the 1960s-70s prompted Hasbro to refocus GIjOE marketing strategy into non-violent themes and adventures. But for the purposes of this article, we’re not interested in rehashing the past; we’d rather investigate the essence of this “What-If” scenario: an alternate military Adventure Team timeline. 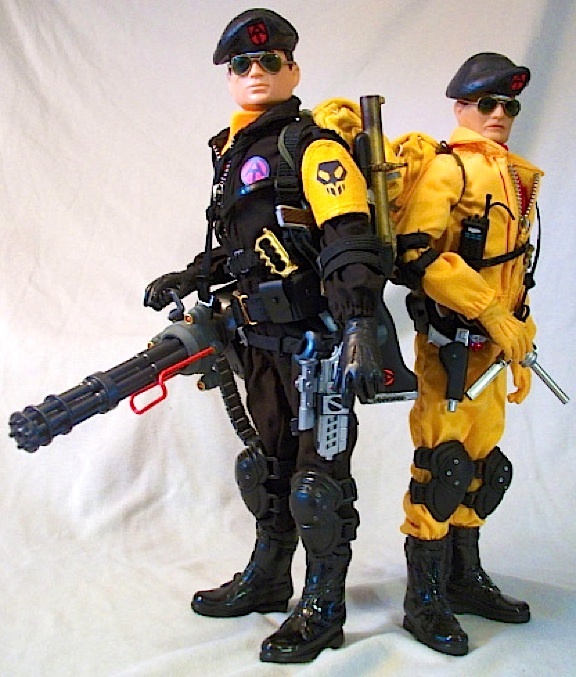 “If anyone’s interested in creating one of these goldenrod guys for themselves, here’s the ‘recipe’ for this dude: Starting at the top, that’s a vintage Action Man black beret I got for less than $5 off of Ebay. His glasses, boots and hands are from an old Dragon Thunderbird pilot. The figure itself is a Timeless Collection Australian Jungle Fighter redressed in a 40th goldenrod jumpsuit. Bottom Line: As alternative AT timelines go, this one holds a lot of potential. Of course, Hasbro eventually returned Joe to his military roots in the 1980s with the introduction of the 3.75″ RAH figures. But imagine if Hasbro possessed just HALF the creative genius and imagination of a Wayne Faucher; imagine what COULD be done in the name of 12″ GIjOE. <sigh> Oh well, thanks again to Wayne for all of his input and submissions. You go, Wayne!